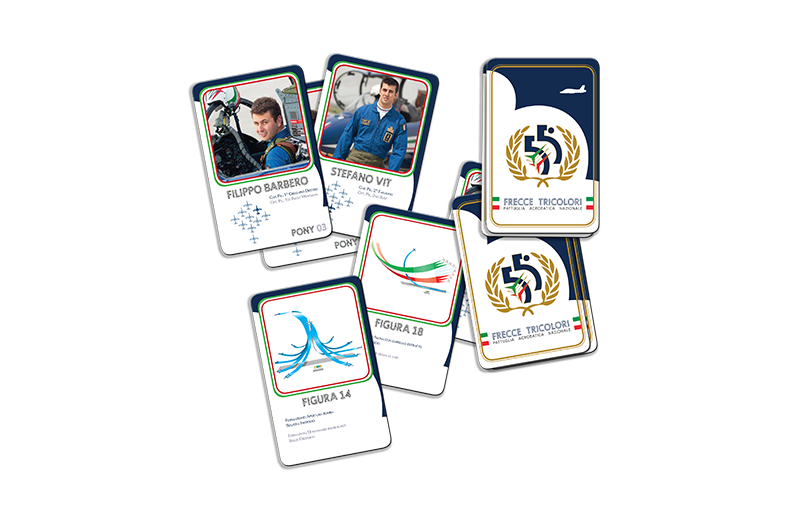 I prepared a graphical project together with Gruppo Rem to partecipate to the call for the 55°anniversary of the "Frecce Tricolori" that reached the second place. various gadgets: shopper bag, collectible cards, pins, fridge magnets, serigraphed cocktail glasses. 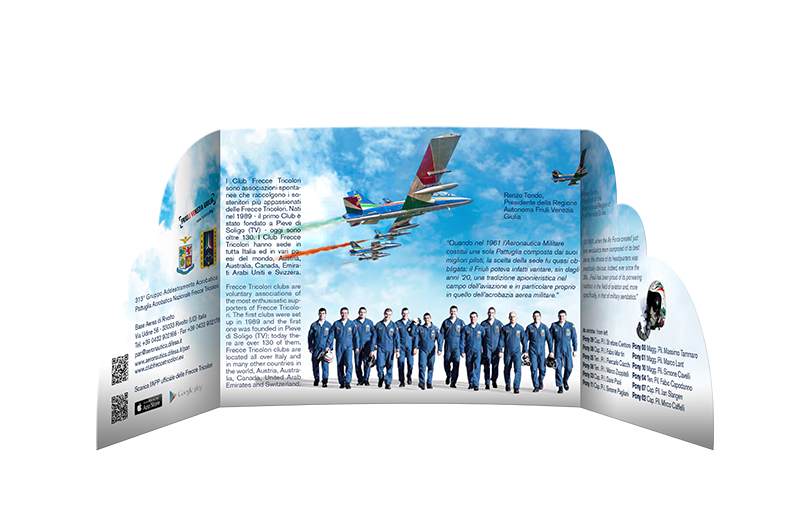 The photographs I used were given to me by Gruppo Rem and Frecce Tricolori (© Frecce Tricolori) and they are used here only for demonstration purposes. 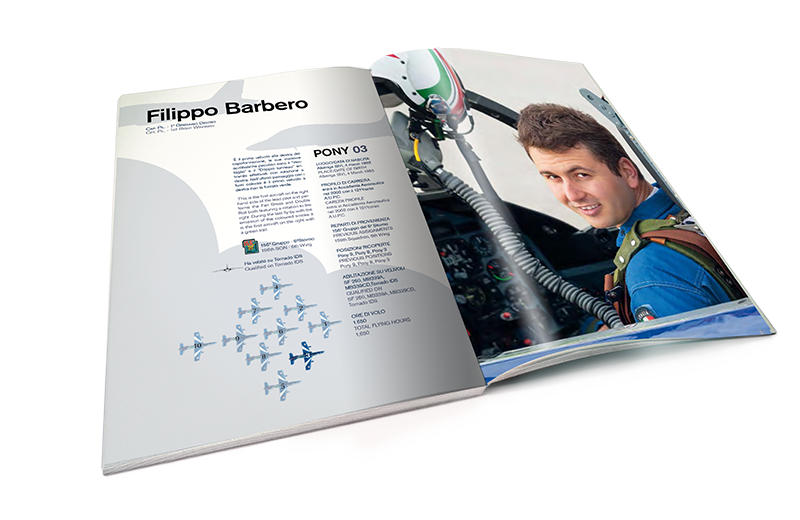 The spaces between the two number “5” play together and recreate the shape of the MB-339PAN, the “Frecce Tricolori” signature airplane. Two color options were given. 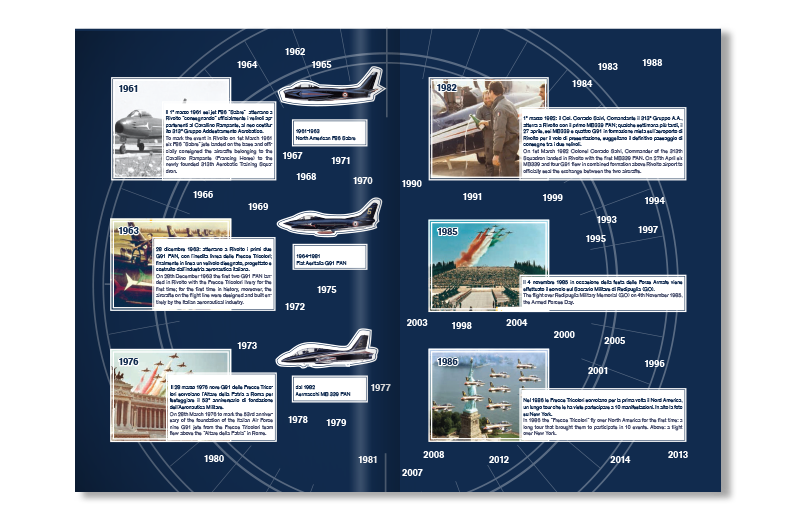 The “Frecce Tricolori” fly high in the sky, among clouds that assume the shape of “55”. Two options: with and without garland. 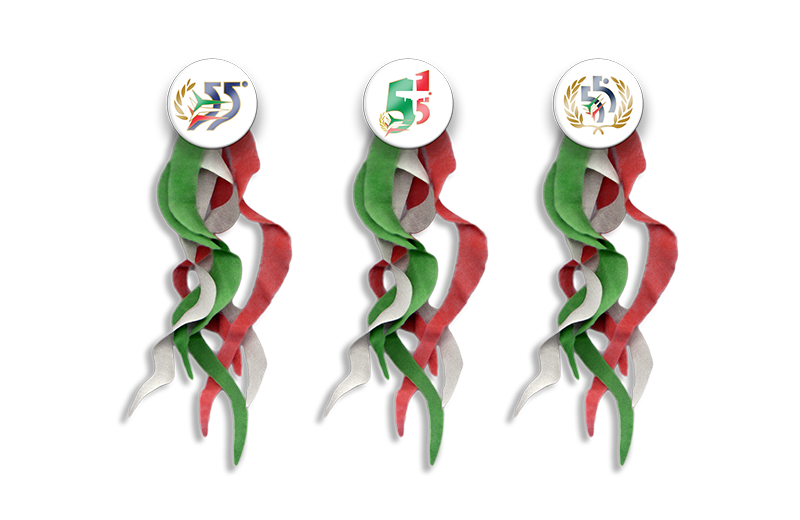 The number “5” comes from the bow-shaped part of the logo of the “Frecce Tricolori”. 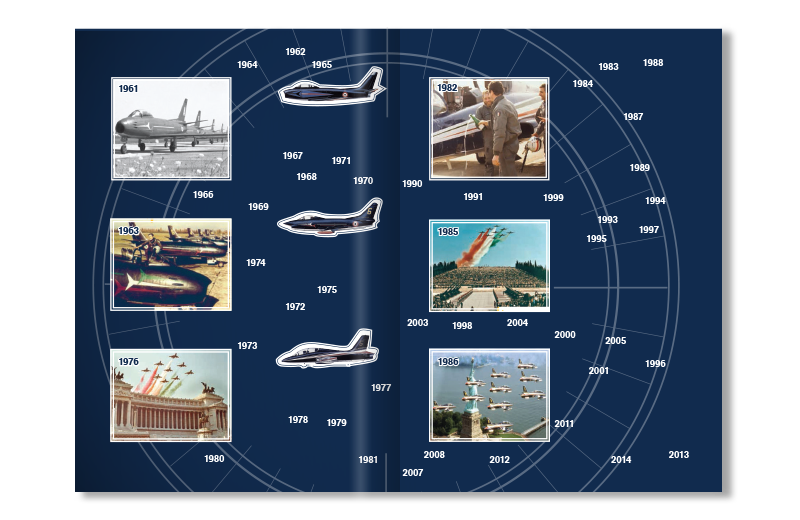 The “Frecce” (as the “Frecce Tricolori” aircrafts can also be called, meaning “arrows”) are positioned horrizontally, as in the original logo,and then superimposed to the number 55, ready to be shoot. Logo with or without garland. 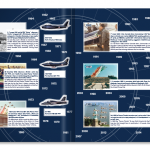 The recurring graphic theme of the whole brochure are the stylized clouds and the silhouette of the Pan aircrafts. 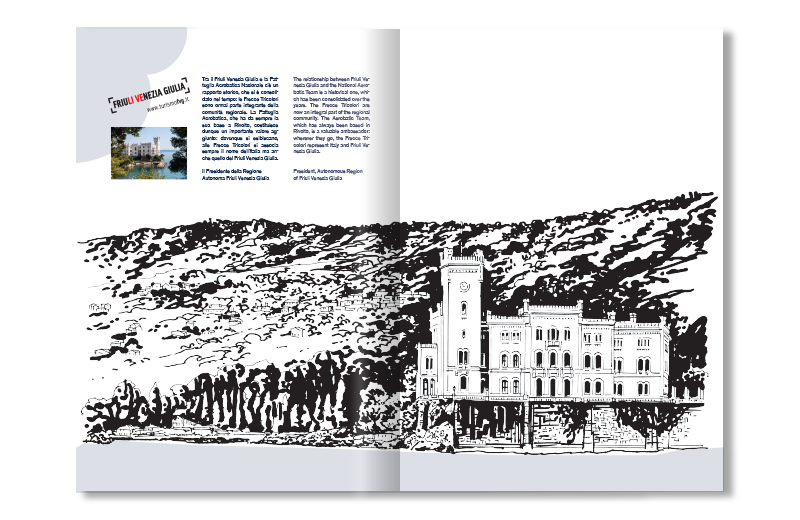 The introduction, two pages longs, at first glance looks to be severe and geometric but then, changing the point of view rotating 90° the brochure, one can discover the horizon of a landscape. 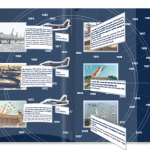 The visual play recalls the changing point of view of a pilot during an acrobatic figure. 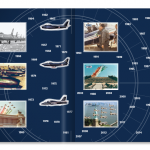 The pages dedicated to the history of the “Frecce Tricolori” recall the display of a radar where the dates are spread not only in time but also space. 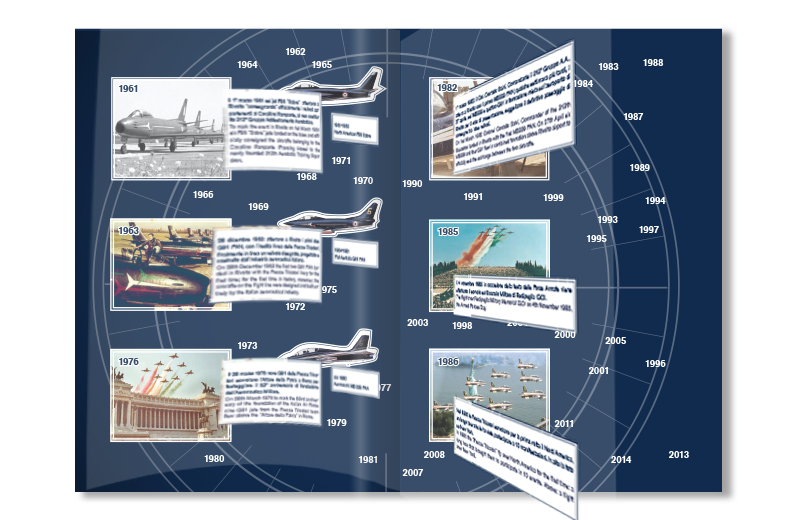 Only some chosen dates are pointed out with photographs and captions. 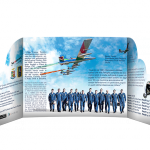 Said captions are printed on clear acetate sheets: they are superimposed over the photographs to create a direct corrispondence between text and photographs without reducing their visibility. 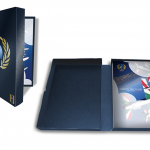 The clear acetate sheets are used again with the pages dedicated to the “Regione FVG”. 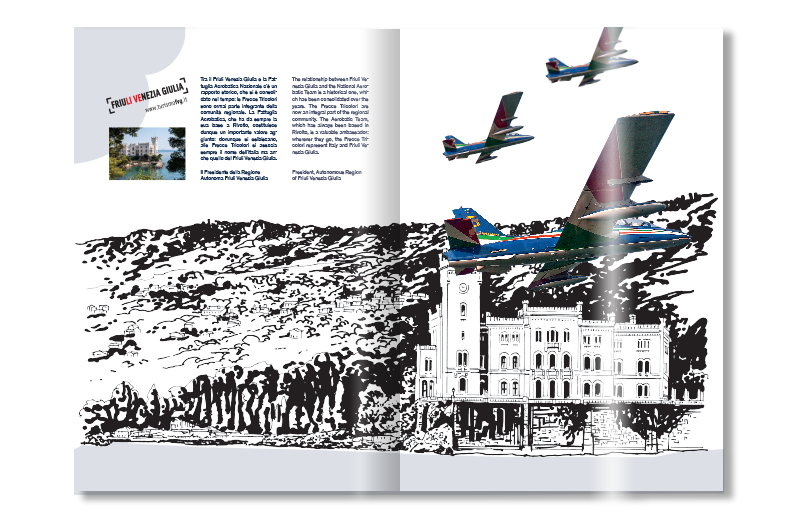 This time we play with the photographs of the aircrafts of the “Frecce Tricolori” printed on two superimposed clear acetate sheets that are both superimposed over an illustration that captures an almost fairy particular place of the “Friuli Venezia Giulia”(Miramare Castle) suggesting a kind of magical connection between the “Frecce Tricolori” and Friuli Venezia Giulia. The two die-cut folds are of different shapes and measuremed. They close overlapping each other. This depliant is both useful and good lookings. 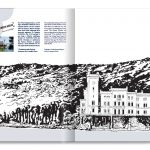 Thanking its peculiar structure, it can be positioned vertically, almost like a picture. The effect of the two folds is that of a theatrical backdrop which gives three-dimensionality to the whole depliant. 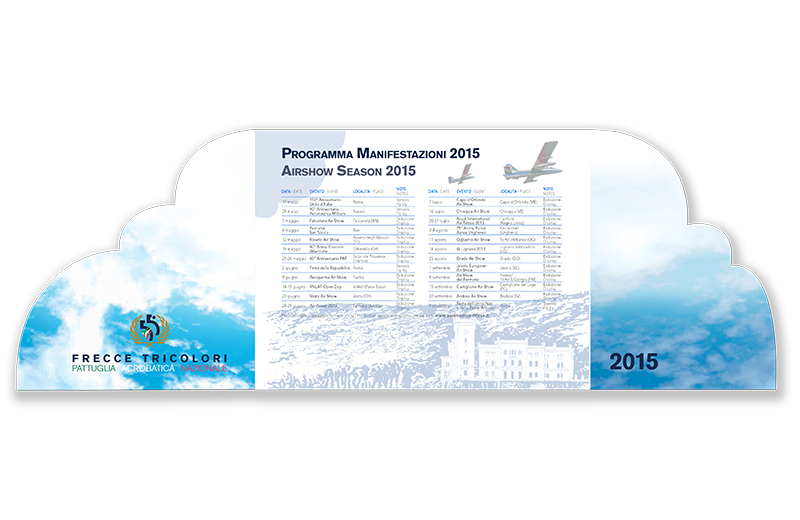 On the other side of the depliant are printed the dates of the 2015 events. 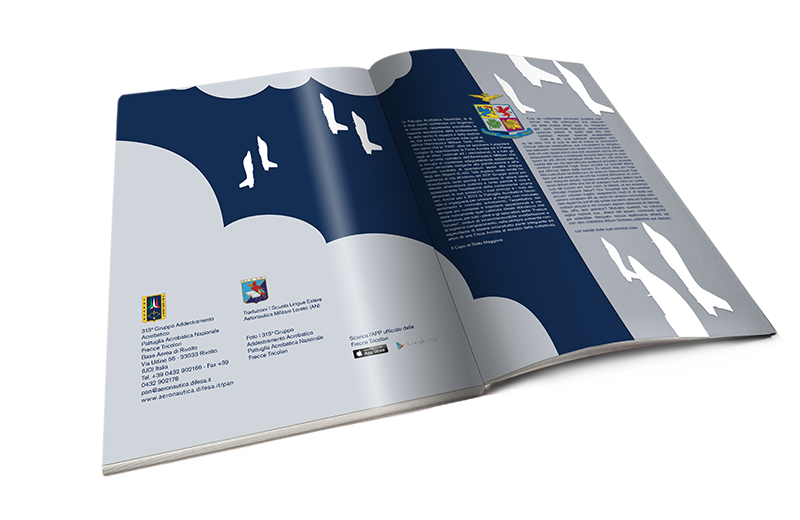 It can carry the brochure as a deluxe version of it but it can also carry the gadgets. 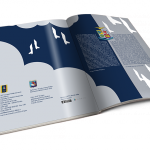 It opens like a book and it is easy to store vertically. 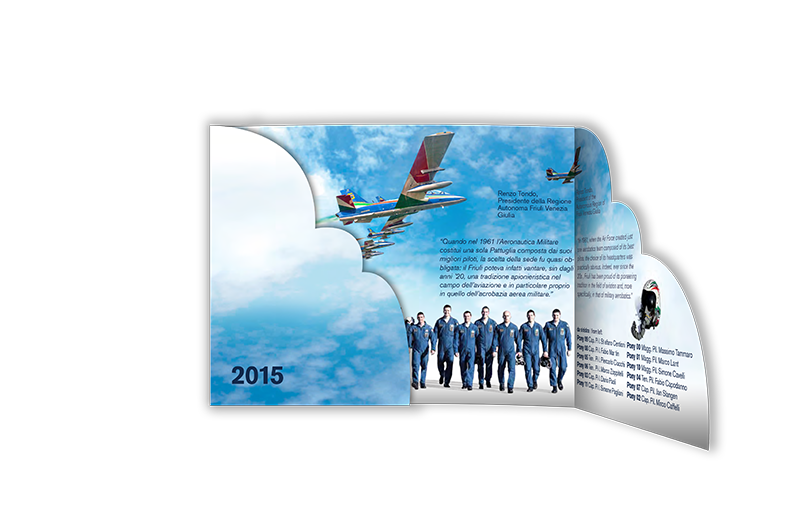 Each set is composed by 32 cards: 12 pilots, 2 land technical teams,18 acrobatic figures, 2 with the dates of the events. The cards are 5,5×8,5 cm. 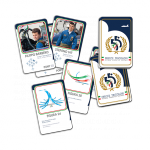 The cards are collectible and can be used for a card game (one or more players). They are also useful to learn to recognize the acrobatic figures. 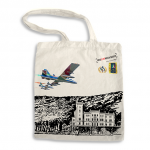 The shopper bag is an useful item that everybody uses. 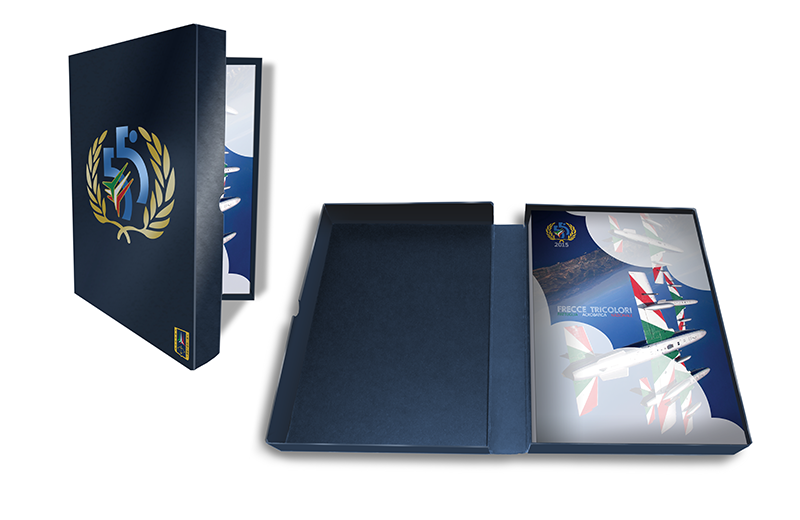 It can be given together with the brochure but it also finds its place inside the casket. 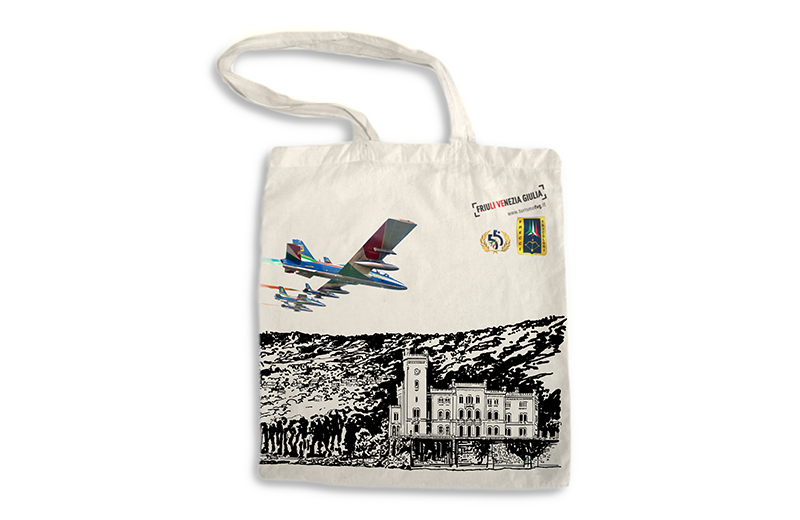 The back of this shopping bag can be personalized with the signatures of the “Frecce Tricolori” pilots. 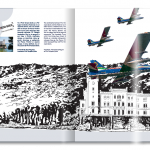 The drawing of the Miramare castle together with the photographs of the aircrafts calls the attention over the link between the Friuli Venezia Giulia and the “Frecce Tricolori”. It also calls attentions over a turistic spot of Friuli Venezia Giulia. 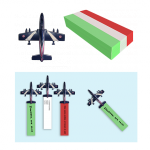 The fridge magnets are shaped as an aircraft inscirbed inside a cm 4×6 rectangle. 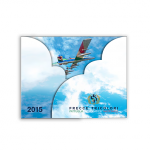 There are 50/100 sheets (each color), 1,5×6 cm, given with each fridge magnet. They can be used as memo or as teaching aid to describe the various acrobatic figures. 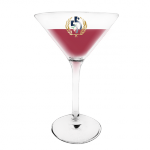 Suggested diameter: cm 4. 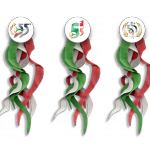 Each pin comes with 3 tapes (green, white, red) 30 cm long and 1,5 cm wide. 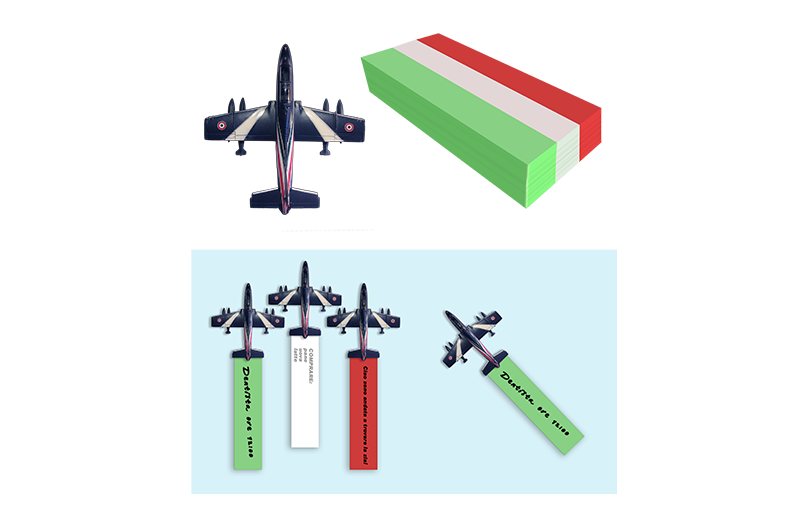 The tapes aren’t cut in a straight line but they meander as the aircraft trails during the acrobatic figures. There is a pin variant with 3 leds (green, white, red) that point downward toward the tapes. 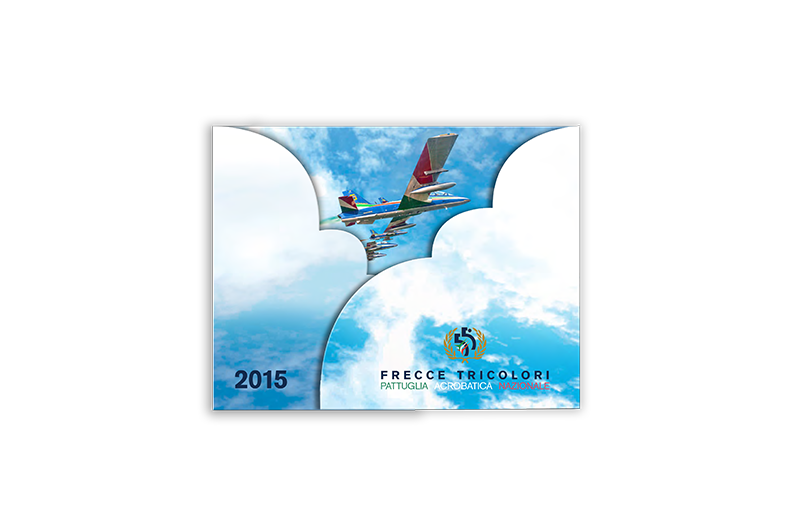 The pin is not only an object that celebrates the “Frecce Tricolori” but also an original and artistic item. 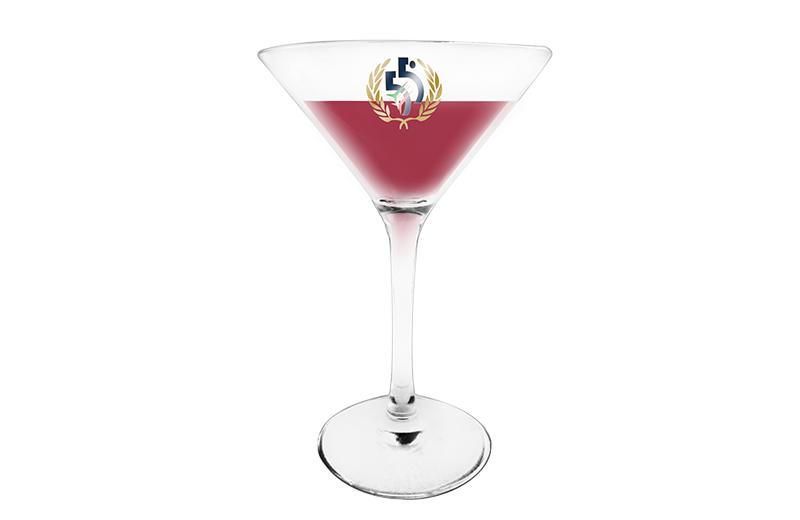 A limited edition gadgets serigraphed with the winning logo to celebrate together the 55°!